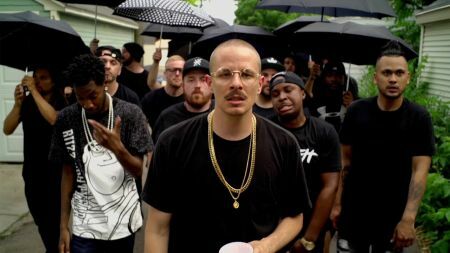 At face value, the musician known as Prof appears to be a satirical rendering of what you might think a hip-hop artist from middle America might be. In reality, Prof is a complex rhyme-sayer with the ability to dizzy you with his comical content and eyebrow-raising metaphors delivered in a unique top-tier flow. The Minneapolis, Minnesota-bred emcee has curated his very own movement within his neighborhood called the Stophouse Music Group, an independent record label that promotes local Minneapolis creatives and rappers. Be sure to catch Prof alongside Mac Irv, Cashinova, and Willie Wonka on the upcoming Pookie Baby's Spring Break Tour this spring. Also, check out Prof unite the masses in his visuals for his single "Andre The Giant" in the video link provided above. And lastly, stick with AXS for all of your ticketing needs.